A multi-media theater piece incorporating Butoh and the fast disappearing traditional form of Turkish/Armenian shadow puppet theater, Karagoz, as it deconstructs a land- mark legal trial in Berlin in 1921 that dealt with the Armenian Genocide at the hands of the Ottoman Turkish government in 1915. Serpent seeks to subvert ideas of justice and transcendence and begs the question: is violence ever justified? 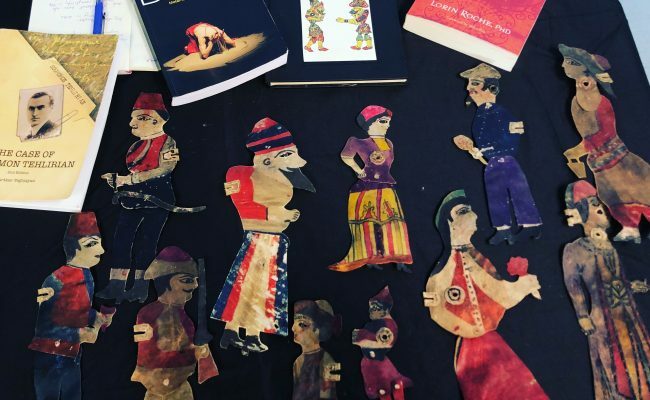 Serpent will result in a traveling theatrical piece that will utilize well preserved Turkish/Armenian puppets to celebrate the now disappearing storytelling traditions in Anatolian culture. Serpent will premiere in 4 cities including Berlin, Beirut, New York and Los Angeles.